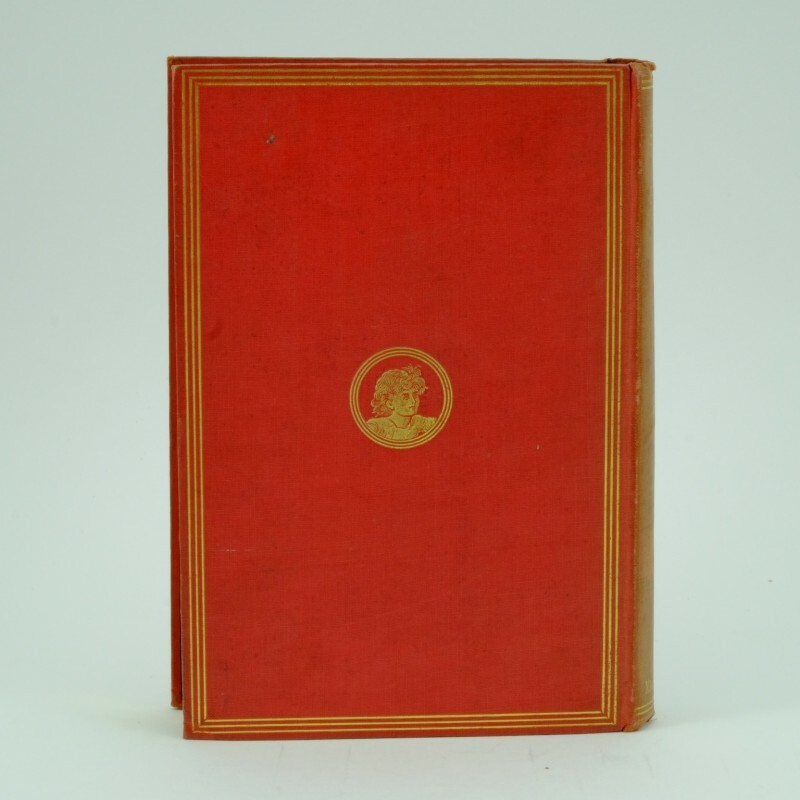 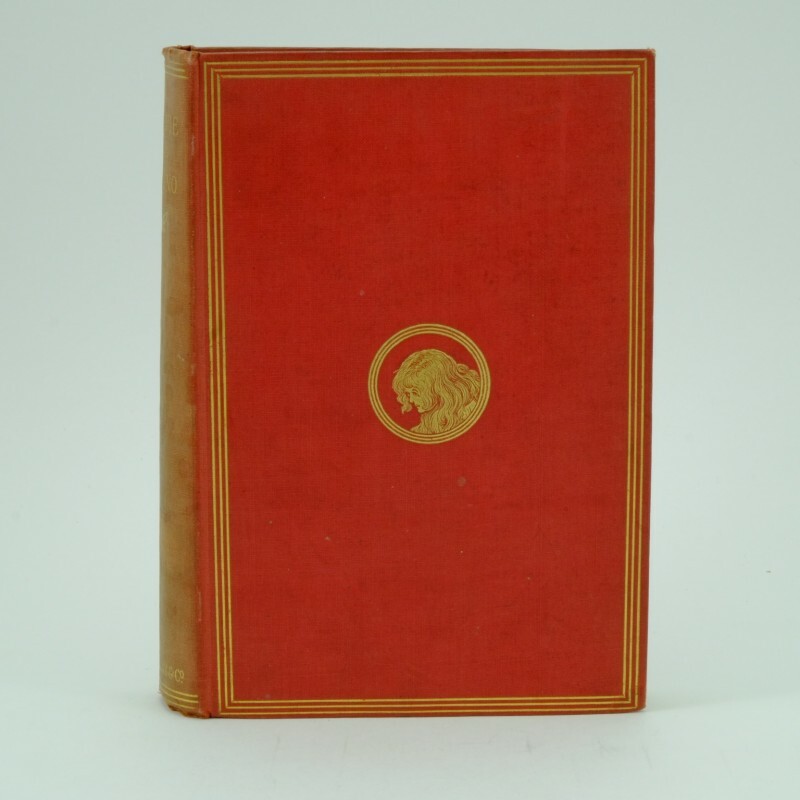 A fine copy of this classic work by Lewis Carroll with minimal wear for it’s age. 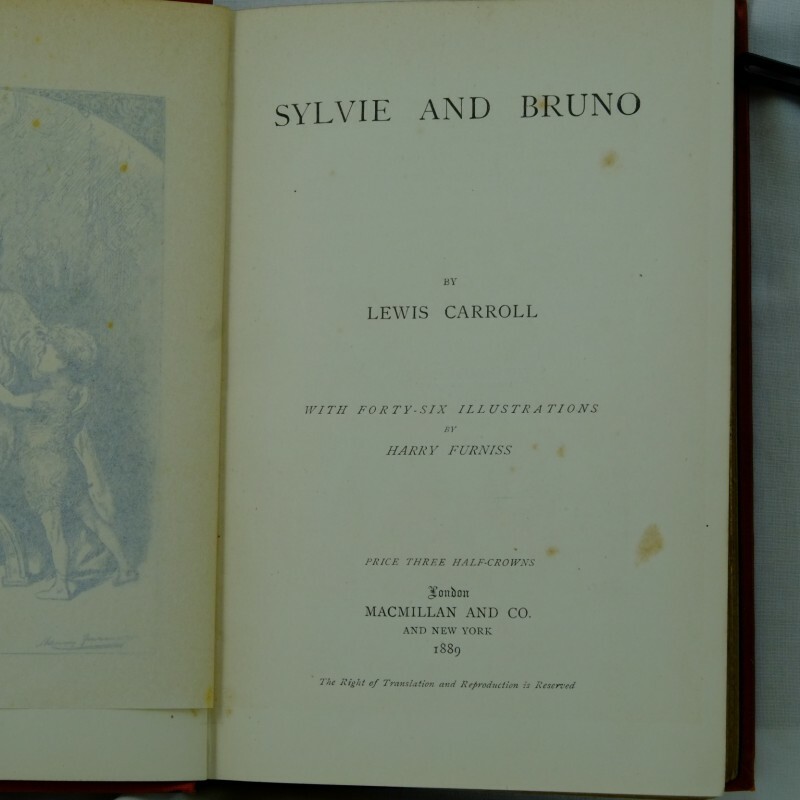 Sylvie and Bruno is the first of a pair of books that Lewis Carroll wrote at the end of his literary career. 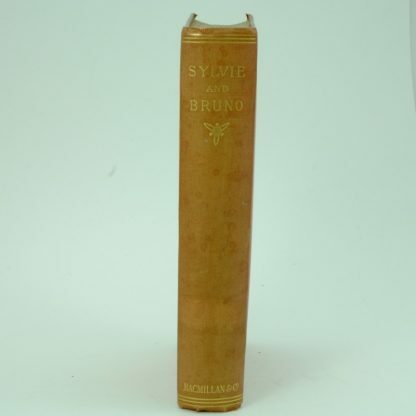 The second novel was Sylvie and Bruno Concluded. 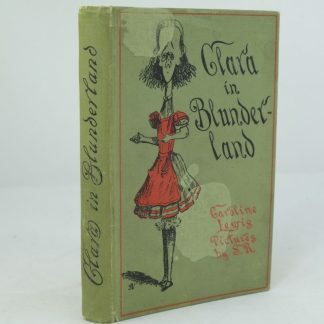 The novel is set in Victorian London and touches on themes of religion, society and philosophy through the two main plots of a real world and fantasy Fairyland world. 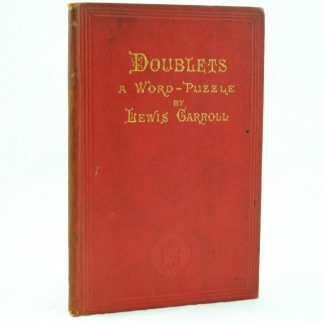 Lewis Carroll includes many nonsense elements similar to his Alice In Wonderland series in the novel. 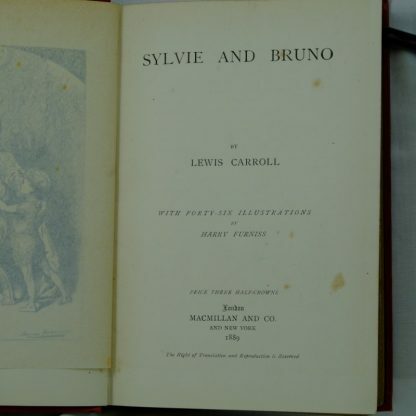 This Sylvie and Bruno first edition is a really sound copy of this classic novel. 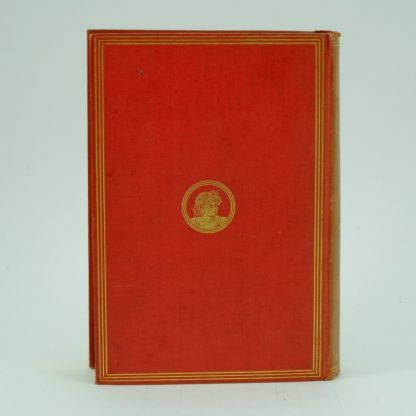 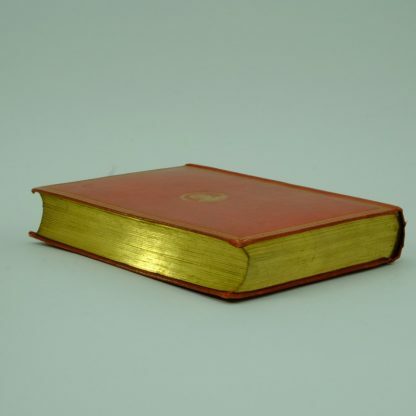 Publisher’s red cloth cover with bright gilt triple-ruled on the edge of the covers. 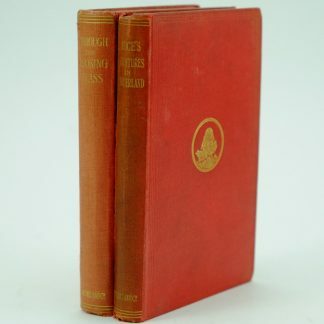 A pictorial triple-ruled gilt roundels on both covers. Bright gilt-stamped spine titles and decoration on the in very good condition. Slight fading of the spine colour. 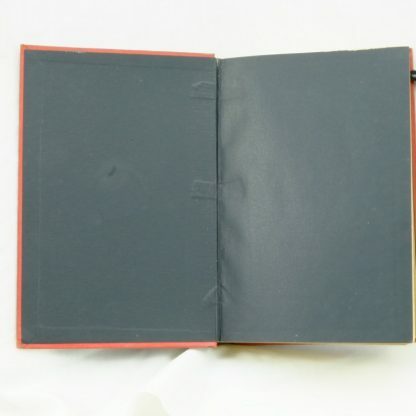 Intact black clay-paper end pages. 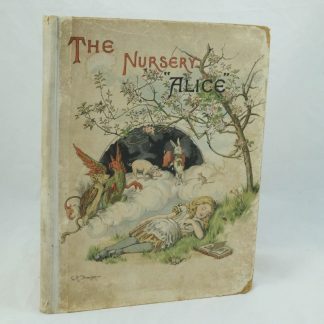 The book contains forty six illustrations by Harry Furness. 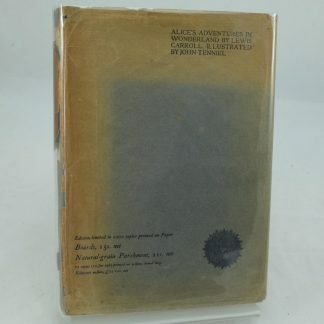 Frontpiece illustration is protected by a tissue guard. Contents are clean with foxing on front and rear free end pages. 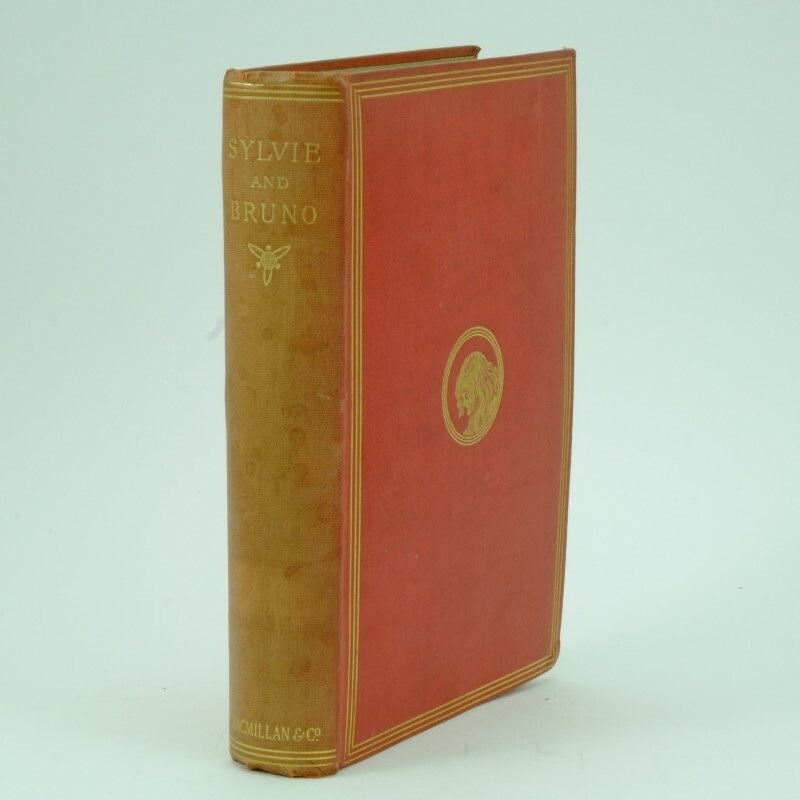 Binding of the book is tight and square. Bright gilt edges of the pages. 400 printed pages including 5 pages of index. 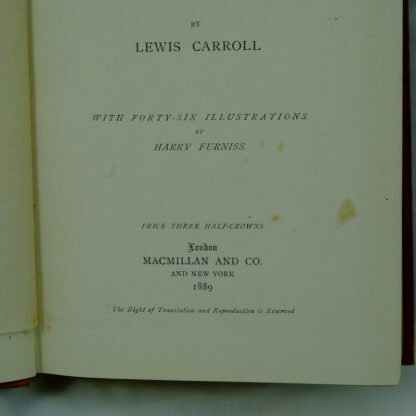 Also 3 pages of works by Lewis Carroll included at the end of the book.